Munich is the heart and soul of Bavaria and the home of Octoberfest. However, reminders of the terror caused by the Nazi regime can be found everywhere in and around the city. To delve deeper into the dark history of World War II, I joined a New Europe tour to the Dachau Concentration Camp Memorial. Located inside an abandoned factory just outside Munich, Dachau was one of the first concentration camps opened in Germany. 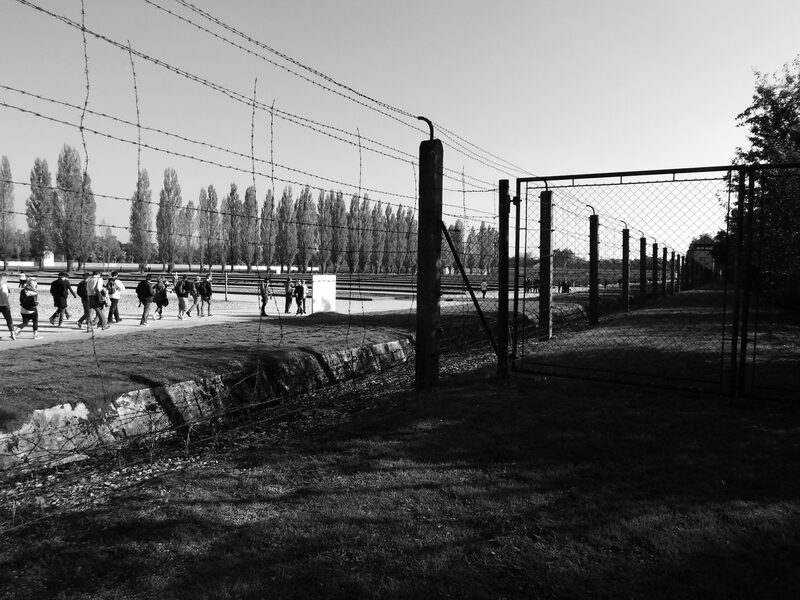 It also served as a prototype and model camp for the concentration camps that followed. Dachau was initially used to house political prisoners, people thought to be a threat to the Nazi regime. Later, the uses of the camp expanded to include the imprisonment of Germans, foreign nationals and Jews, forced labour, scientific experiments and mass killings. It was the only concentration camp that remained active during the entire reign of the Third Reich (1933 – 1945). Most of the camp was destroyed after liberation. A couple of buildings remained intact: the guard towers, the administrative building, the bunker, the ‘krematorium’ and the gas chambers. When Dachau was turned into a memorial, two barracks were reconstructed according to the original design. It gives a glimpse into the life of the prisoners of Dachau. 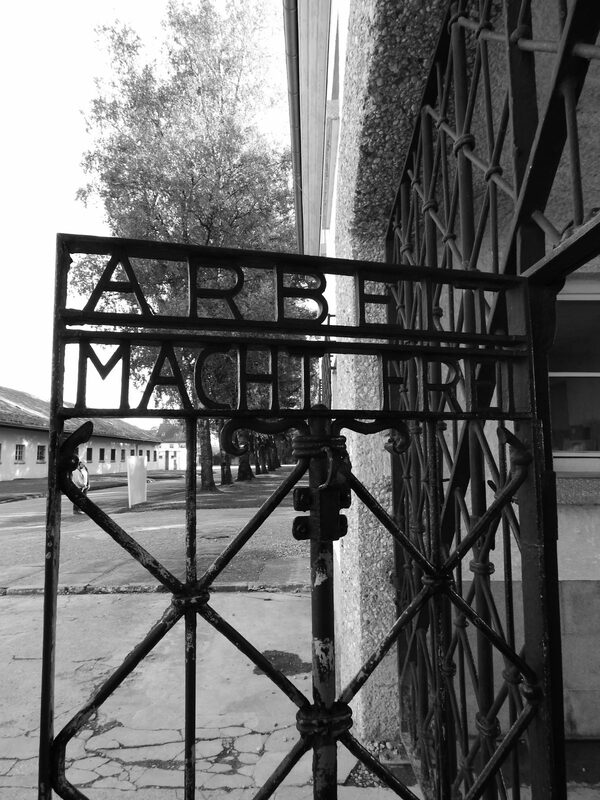 The slogan on the gate to Dachau reads ‘Arbeit macht frei’, which when translated means ‘labour sets you free’. It’s a universal slogan found on the entrances to many concentration camps, including Auschwitz. 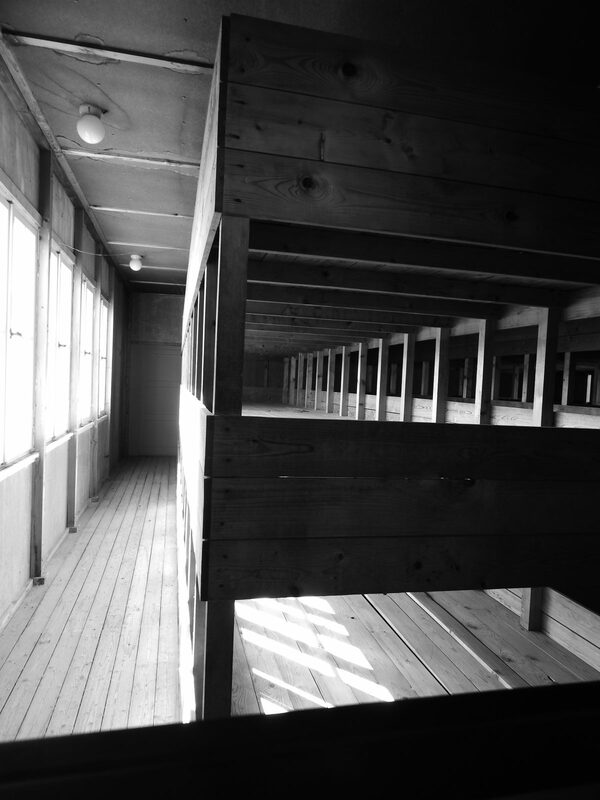 In the case of Dachau, the prisoners were starved and literally worked to death. 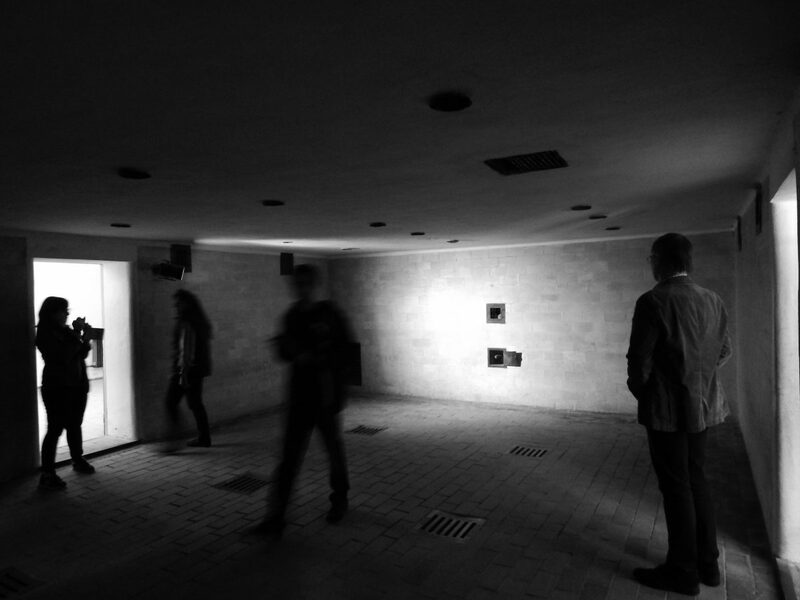 When prisoners arrived at Dachau, they were processed in this building and completely stripped of their identities. They were each given a number and a symbol indicating their particular offence. The building is a museum today. The bunker was reserved for unruly and defiant prisoners. 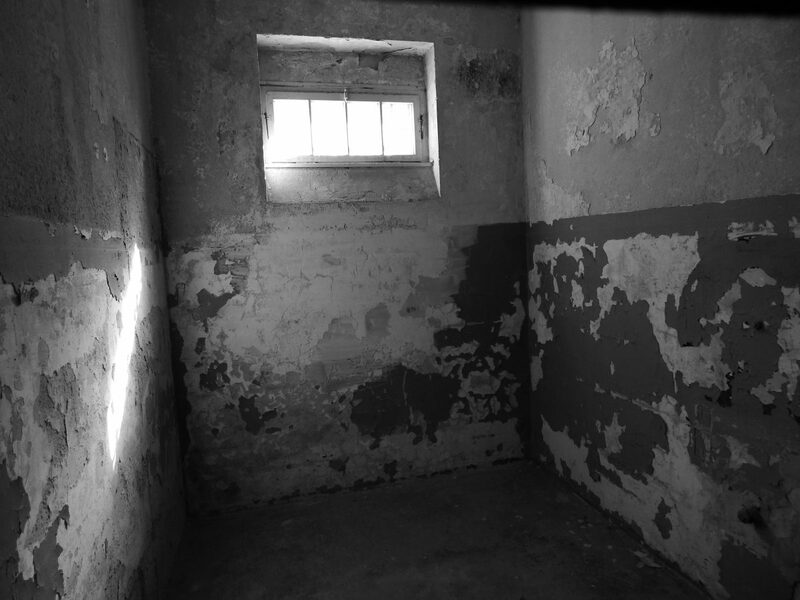 They were isolated and subjected to serve punishment and torture inside the bunker. 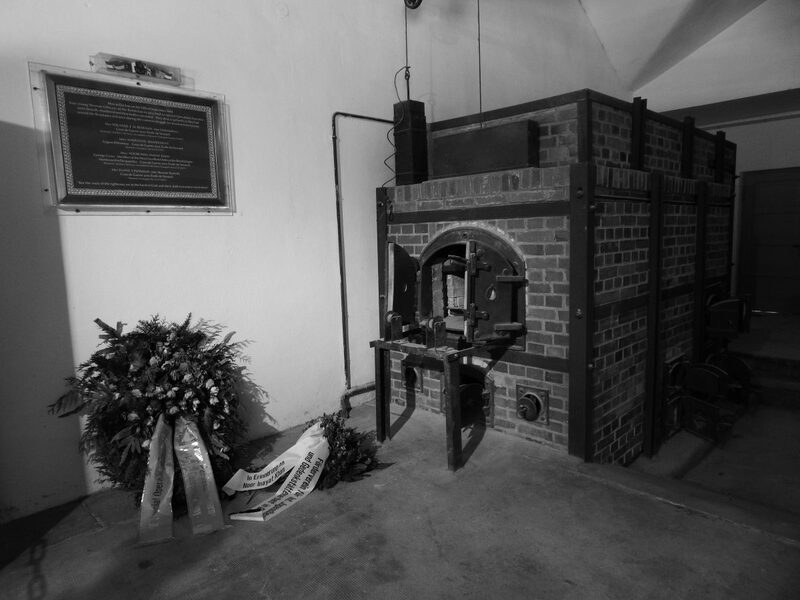 The corpses of Dachau were destroyed inside the crematorium. 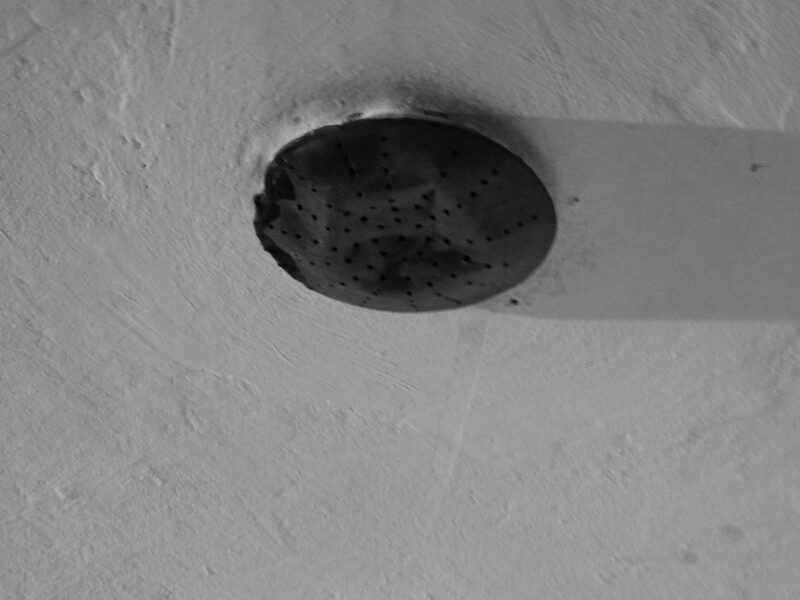 The ovens were active day and night. Horrific stories that I do not wish to repeat here, filled the tour. Instead, I will share what shocked me most: the amount of engineering, thought and energy that was put into the mass execution of people. The attention to detail was disturbing. For example, the doors to gas chambers used to open inwardly. But after the prisoners were gassed, the guards struggled to open the doors as they were blocked by dead bodies. So the design was adjusted. Instead, the doors of gas chambers opened towards the outside, thus providing the guards with better access to remove the corpses. To commemorate the different beliefs of the prisoners of Dachau, a number of religious moments were erected. 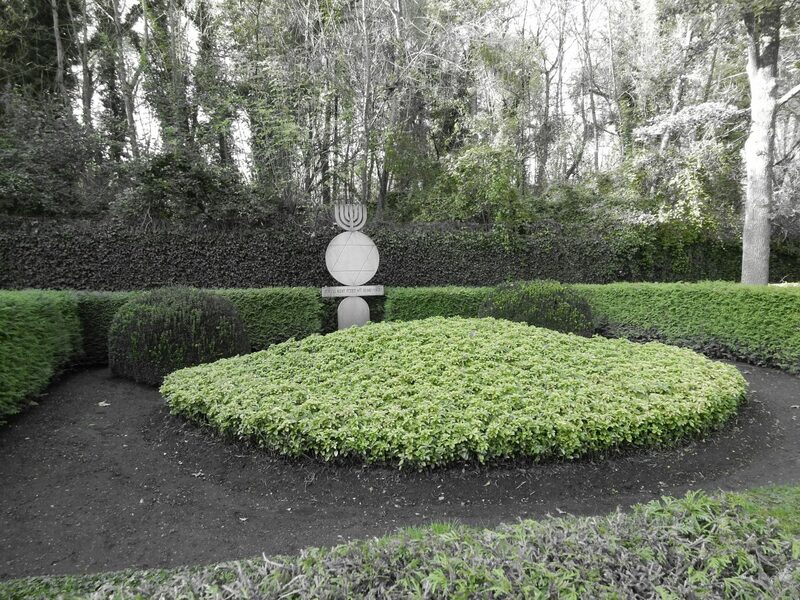 Below is the site of a Jewish mass grave. Two prominent artworks are on display in front of the Dachau Museum. 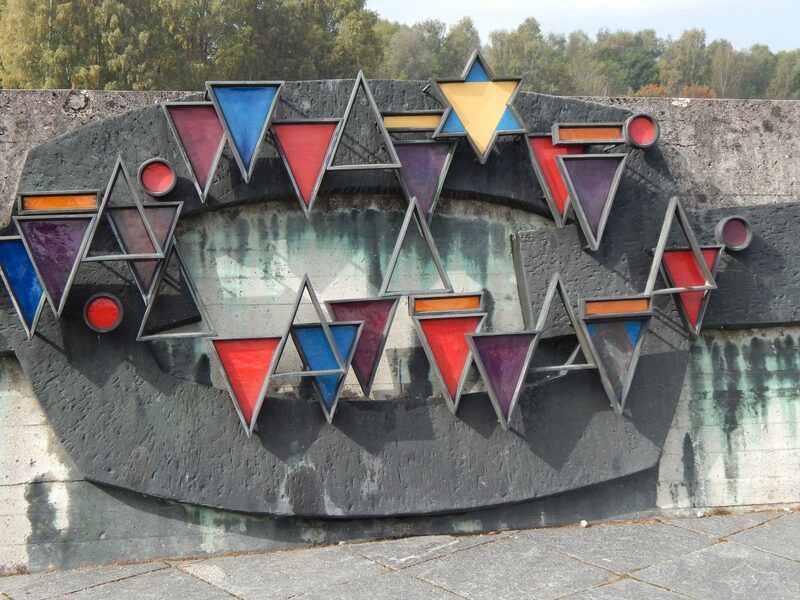 Nandor Glid designed the sculpture above. Strangely enough, it was meant to be a symbol of hope. 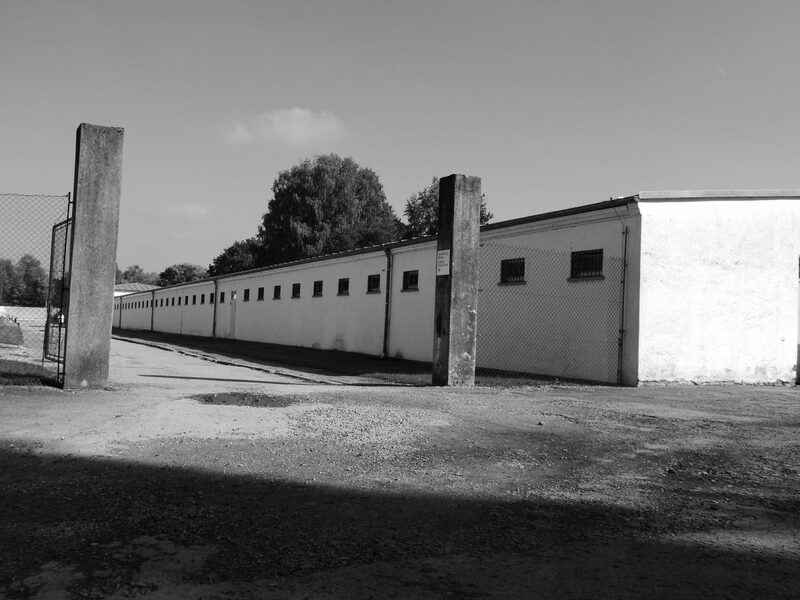 Upon arrival at Dachau, some prisoners realised the suffering that awaited them. They took their fate into their own hands and committed suicide by running into the electric fences. 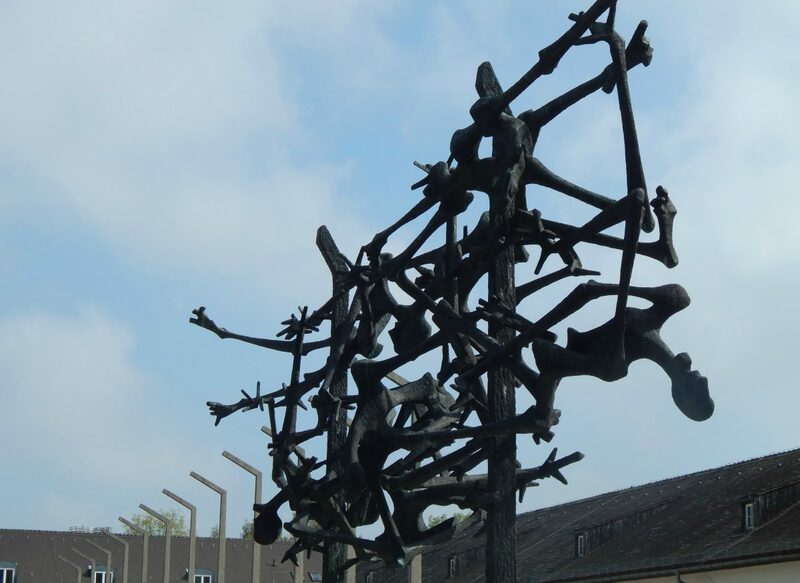 Former prisoners who survived Dachau created the artwork above. It depicts the symbols that were assigned to each prisoner as they entered the camp. 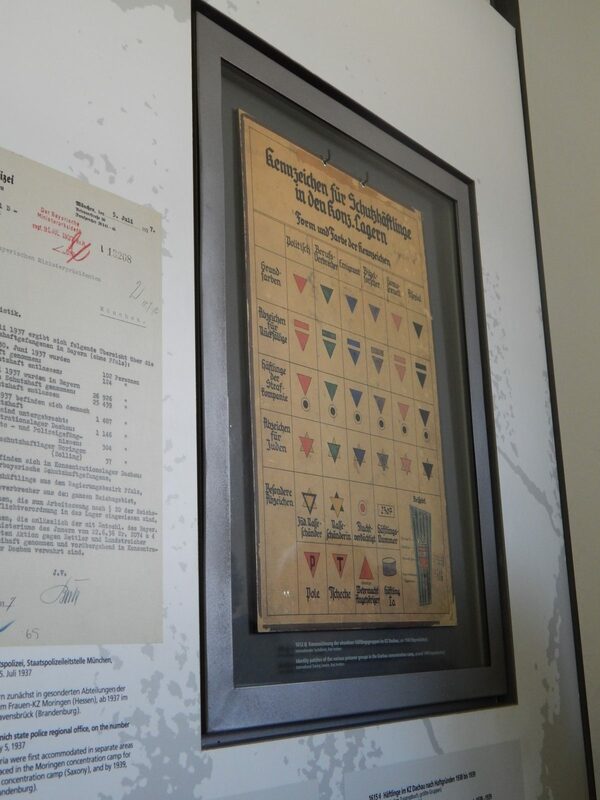 Some of the symbols were conspicuously omitted in the artwork (for example green triangles worn by German criminals). Interestingly, the artwork exposes the prejudice that was present in the hearts of the prisoners themselves. 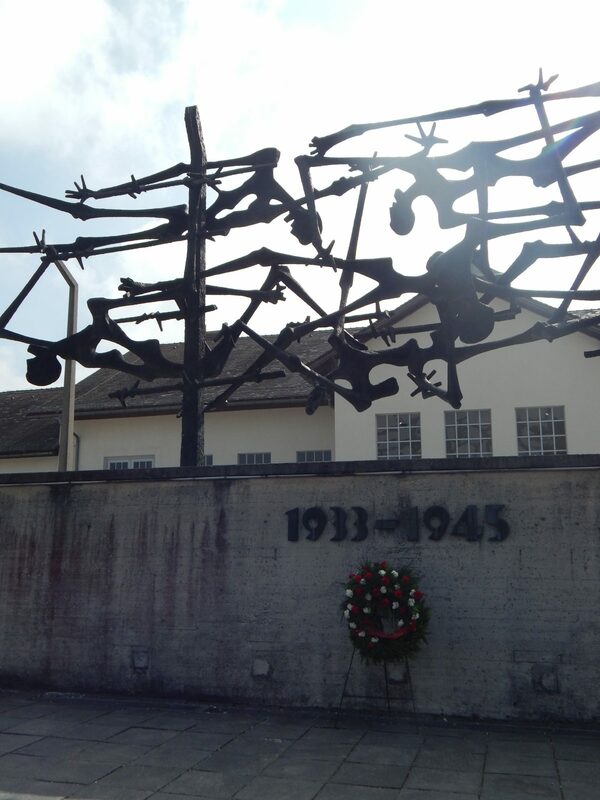 Why did I visit Dachau? I don’t have any family members or friends that suffered directly under the reign of the Nazi regime. So why then did I visit Dachau? It wasn’t a morbid fascination with death. I think it’s important to see for yourself what human beings are capable of. It serves as a reminder to us, including myself, of what can happen if you allow racial prejudice to enter your heart. Each human life is sacred and has equal value. The moment you value your life above the life of another person, Dachau happens.